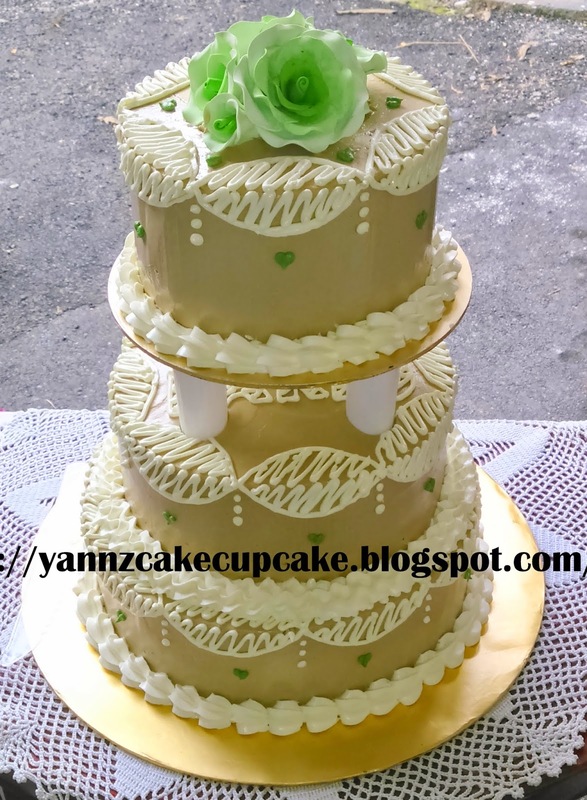 Making this 3 tier sponge cake with rossette design and deco with fresh flower for my cousin wedding. I warped all the flower stalk with cycling crap for hygiene purpose. Sorry really don’t know name of the flowers..floral dummy 001..hehe. 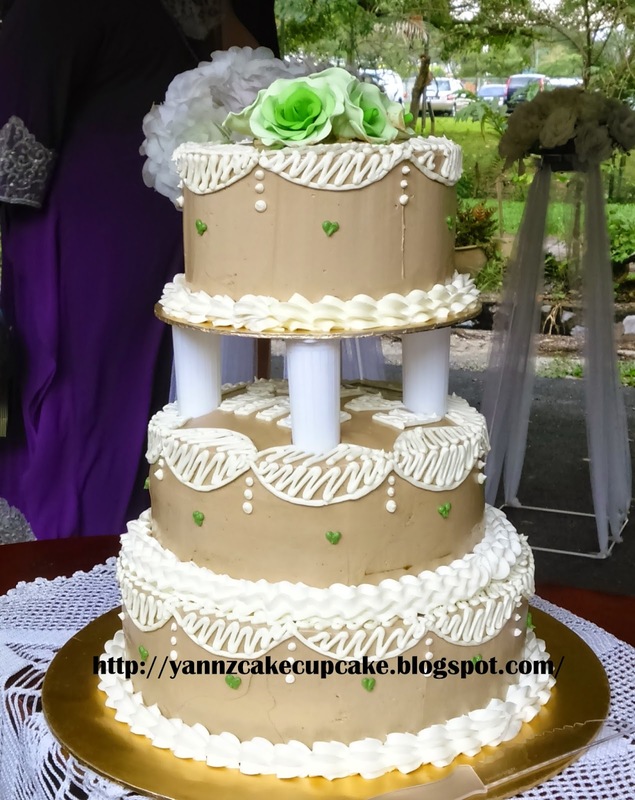 Cake size is 6-8-11. 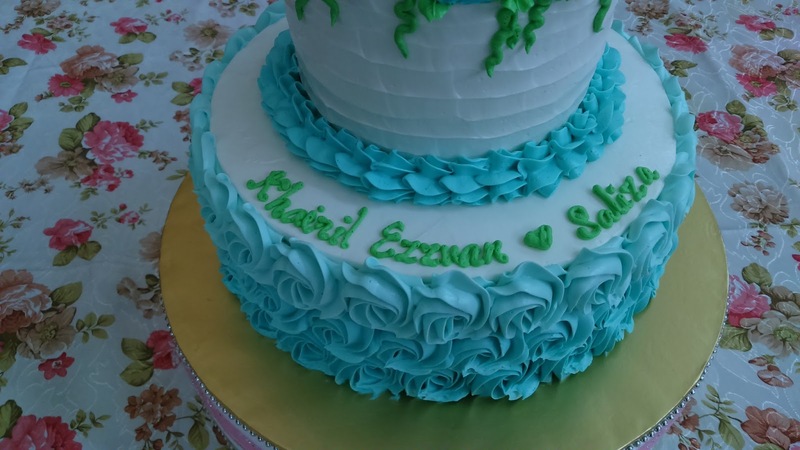 Alhamdulillah from baking to deco take 5 hours in total. 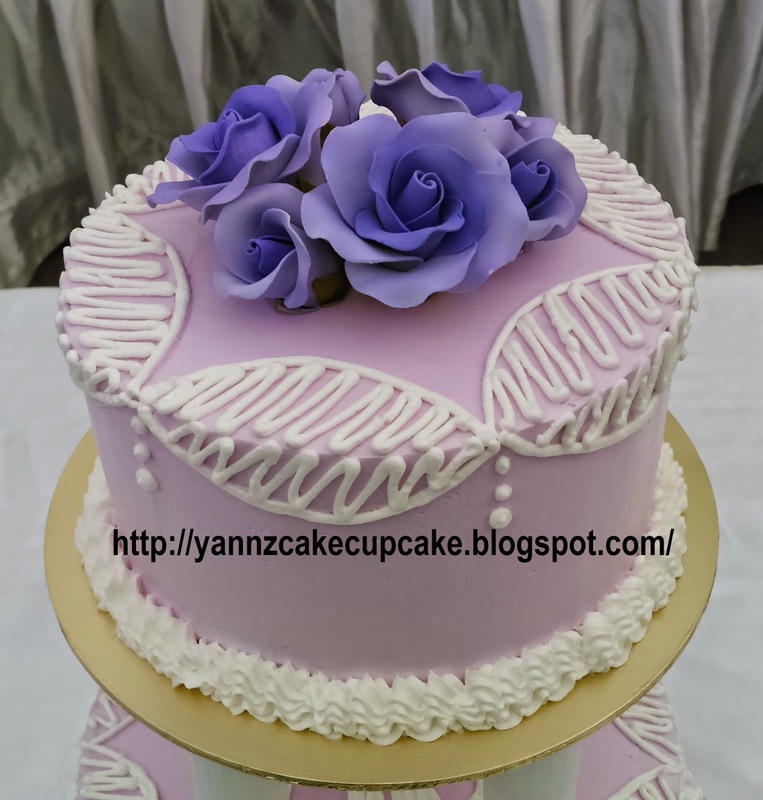 For those looking for emergency cake, sponge cake is the best because fast cooling..choc moist or butter cake take several hours to cool. 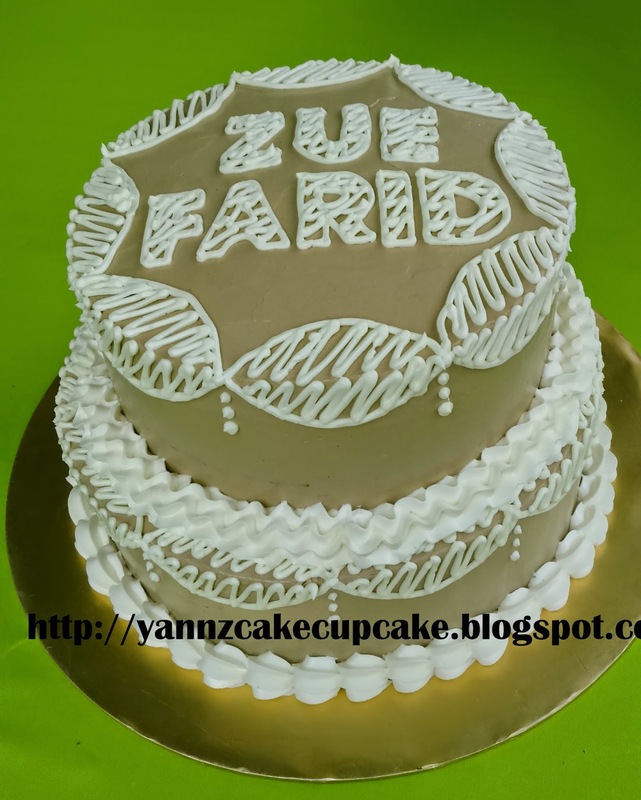 However, sponge cake not suitable for fondant deco, only buttercream. I’m taking this opportunities to invite us all to recite Al-Fatihah to the fire fighter who drown while searching student. May Allah protect us all. Amen. 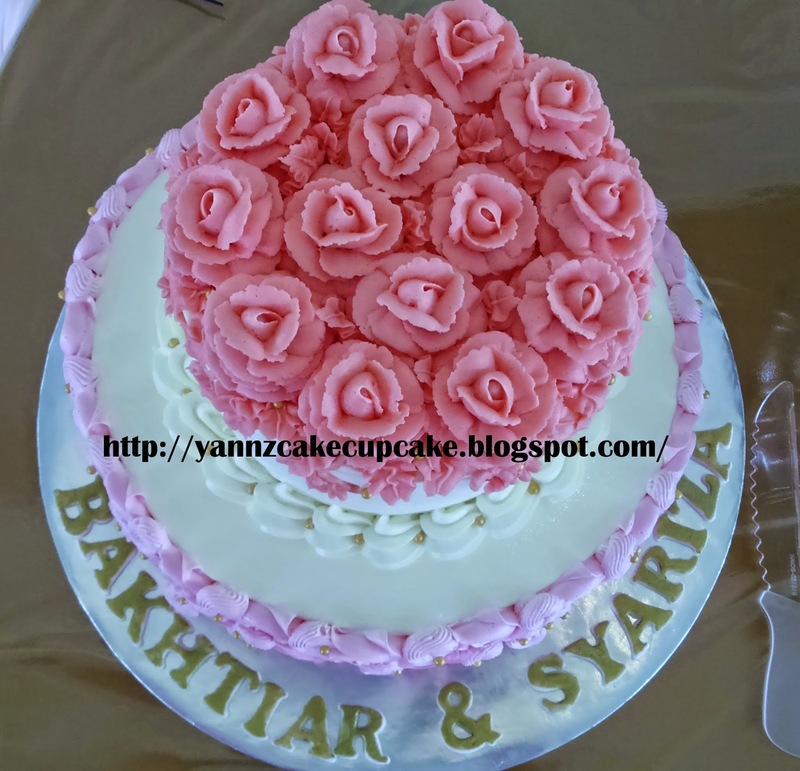 Special thanks to Ms Atie for ordering cakes and cupcakes for her 2 daughters, Hanan & Hashsya. 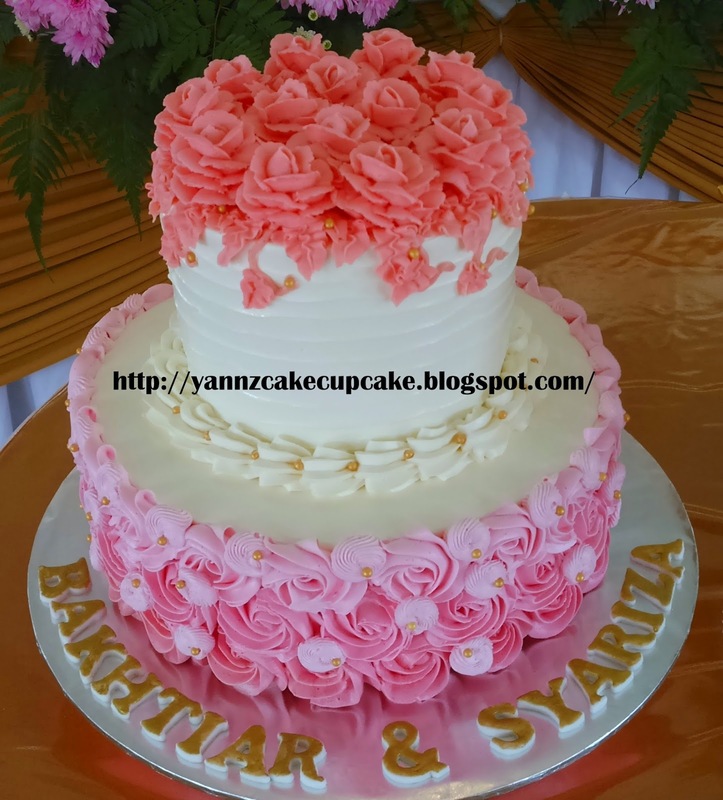 Hanan : 2 tier cake in Red, Black and White with H nameprint, in diamond design, flower and rainbow. Hashsya : 8 inch rainbow cake in colorful Trolls deco. 2 event in same days for both girls. 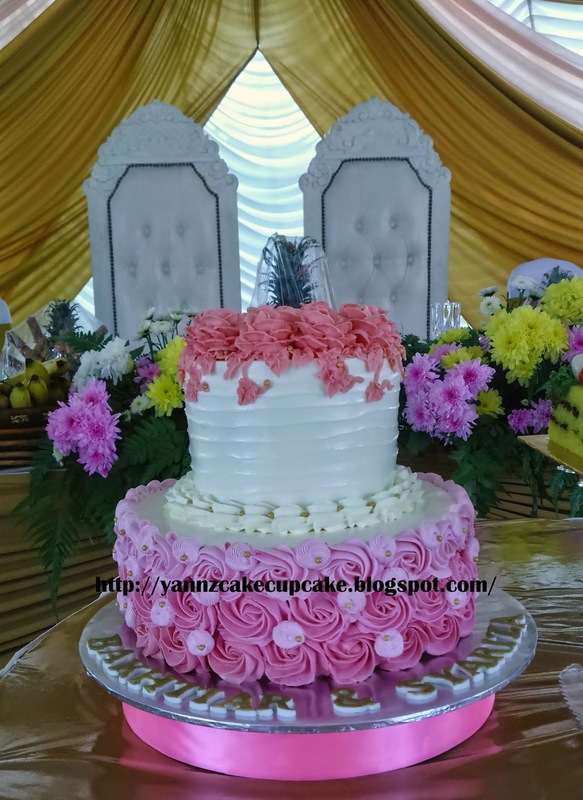 Making this 2 tier cake with colorful flower garden for Ms Nurul. 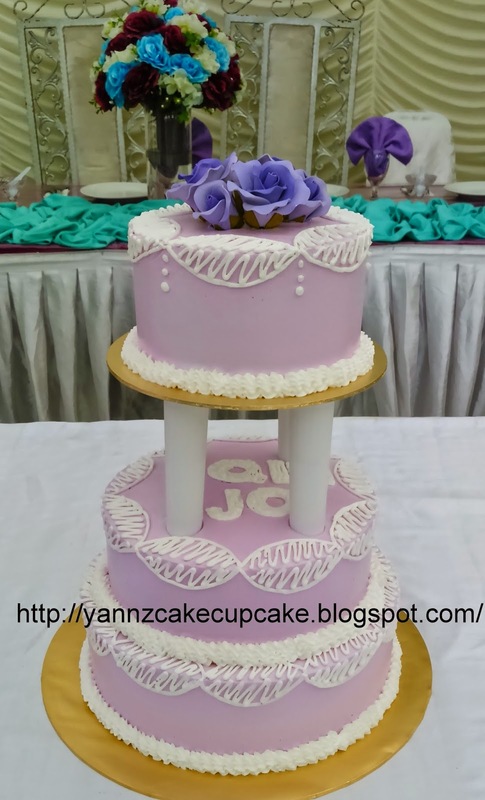 Top with banner stand and rainbow in 1st tier..on 2nd tier is garden theme in buttercream and fondant. 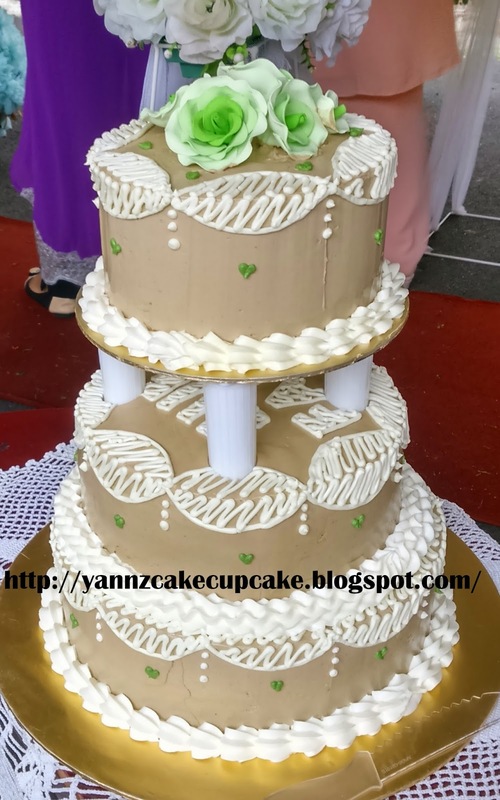 1st tier is choc moist cake in 6 inch. 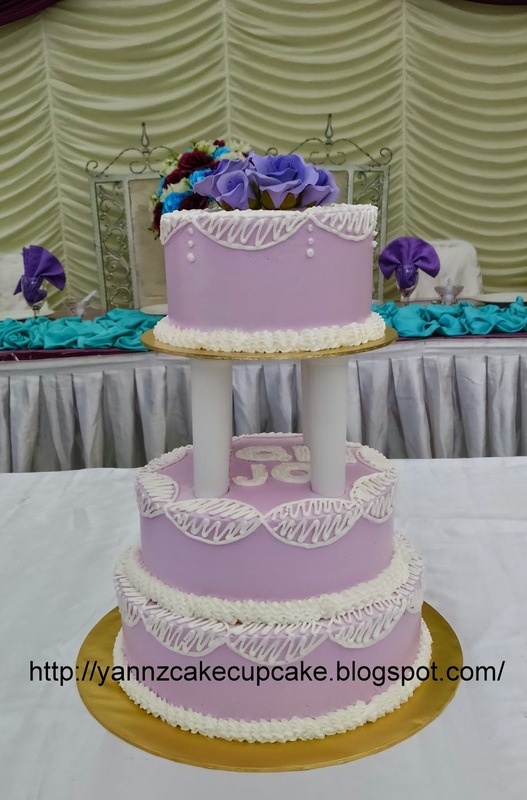 Bottom is Rainbow cake with cream cheese in 8 inch. Original only 2 dolls, but later we add 2 more which not in the picture. 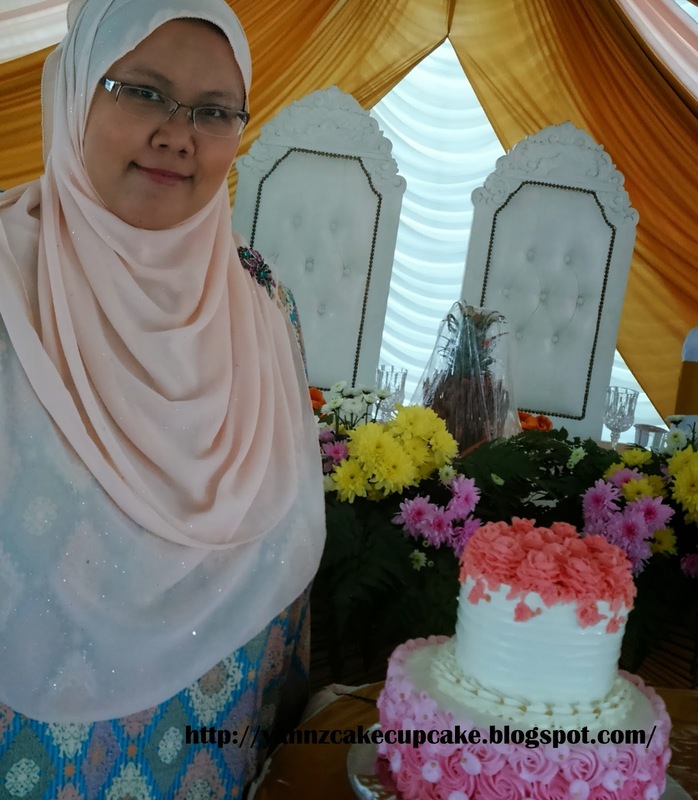 Hopefully Ms Nurul fast recovery from her cancer and healthy for her family. 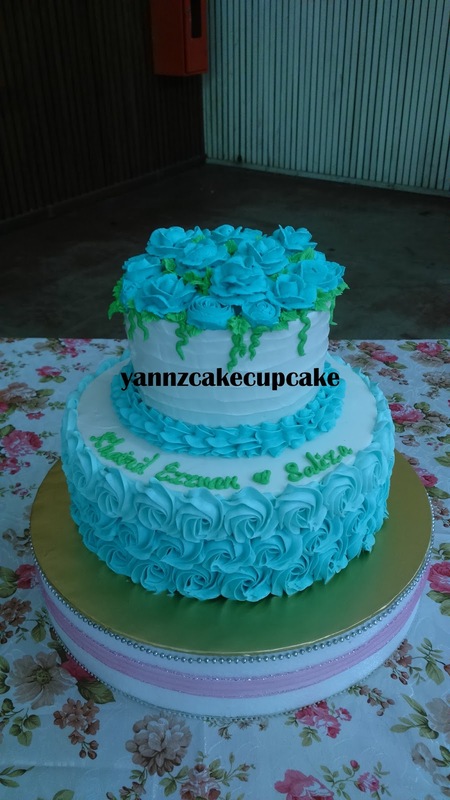 Abaikan semak di sekjtar working table..
Turquoise wedding cake delivered to Klang. pink ombree rossette for bottom. 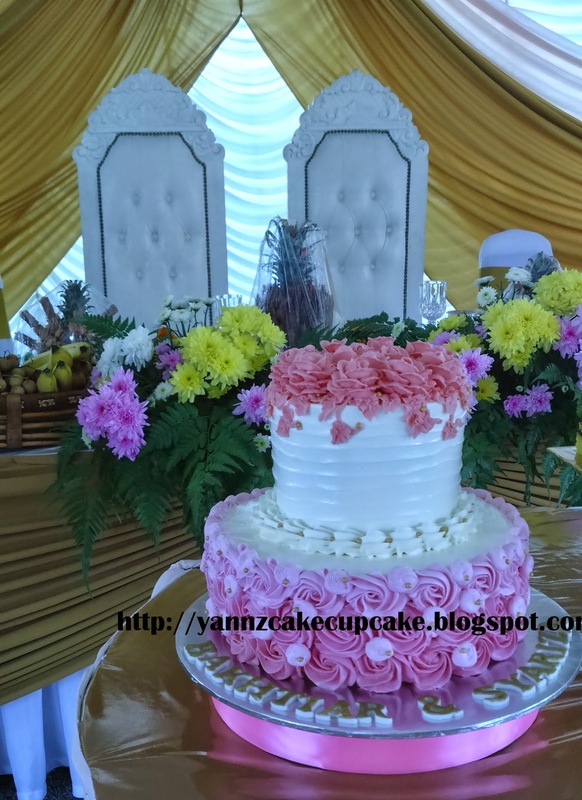 Delivered to Kg Batu 14, Puchong.